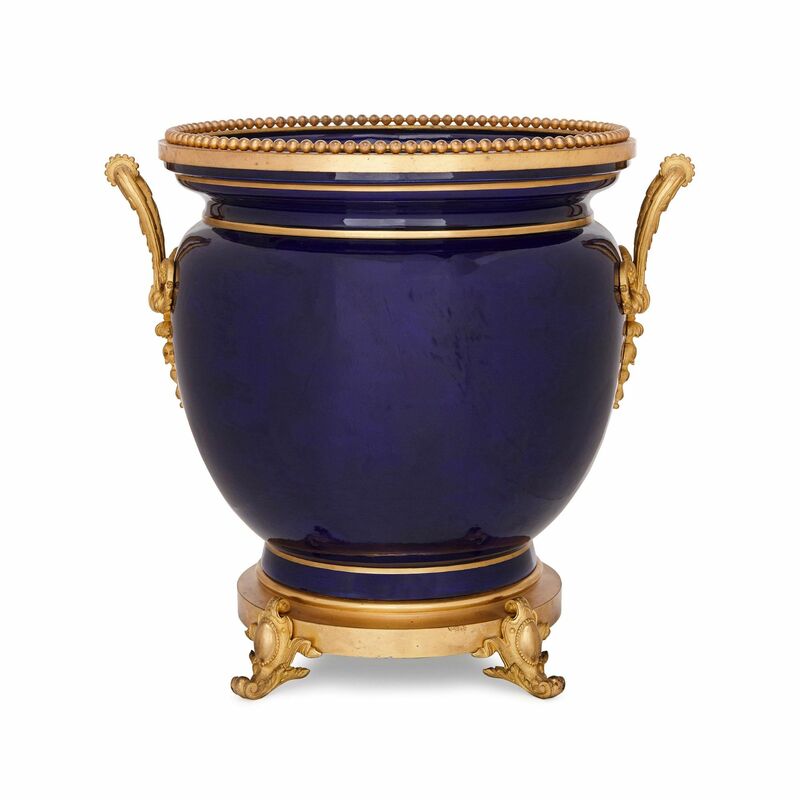 This striking Belle Epoque period vase features an intense cobalt blue ground and simple ormolu details, making it a versatile piece for the luxury interior. The vase is of bell form, and the body is decorated all over with a simple yet intense cobalt blue ground. 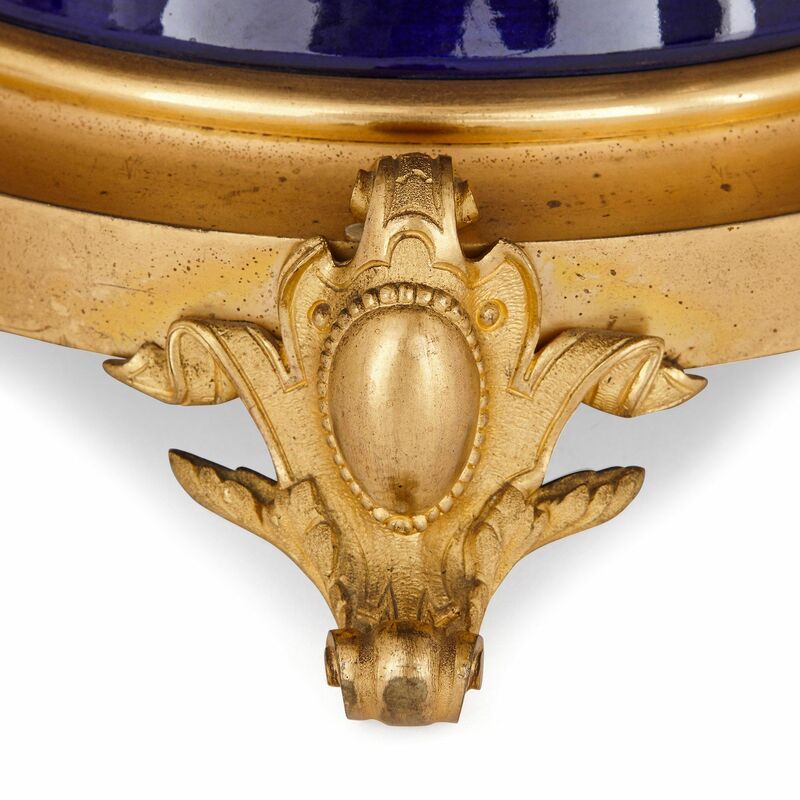 Twin ormolu handles of scrolling acanthus leaf form are mounted to each side. 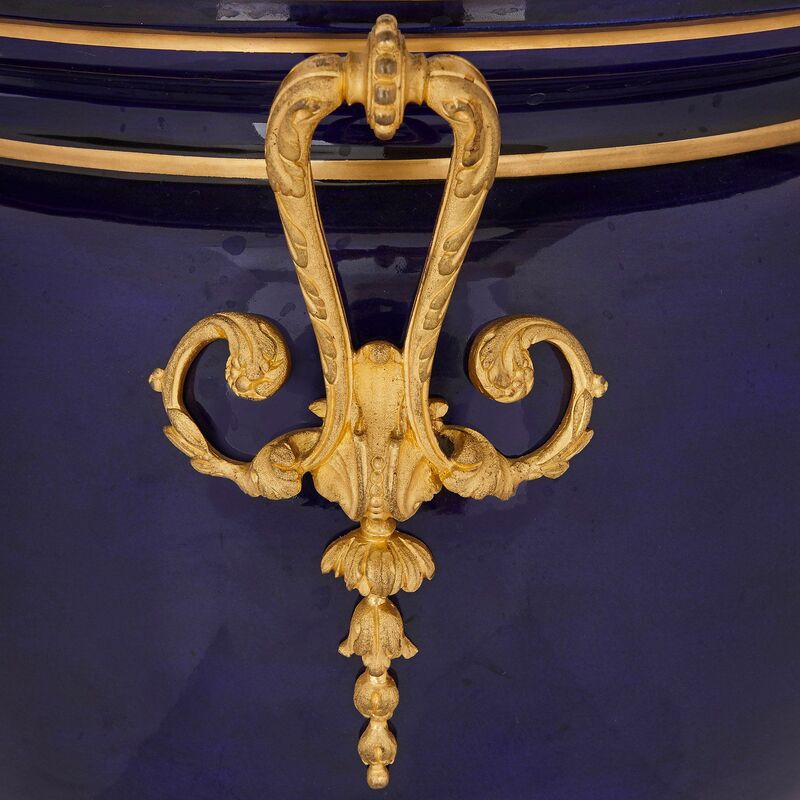 The vase features a narrowed, outflared neck with gilt bands, surmounted by an ormolu mount with beading. 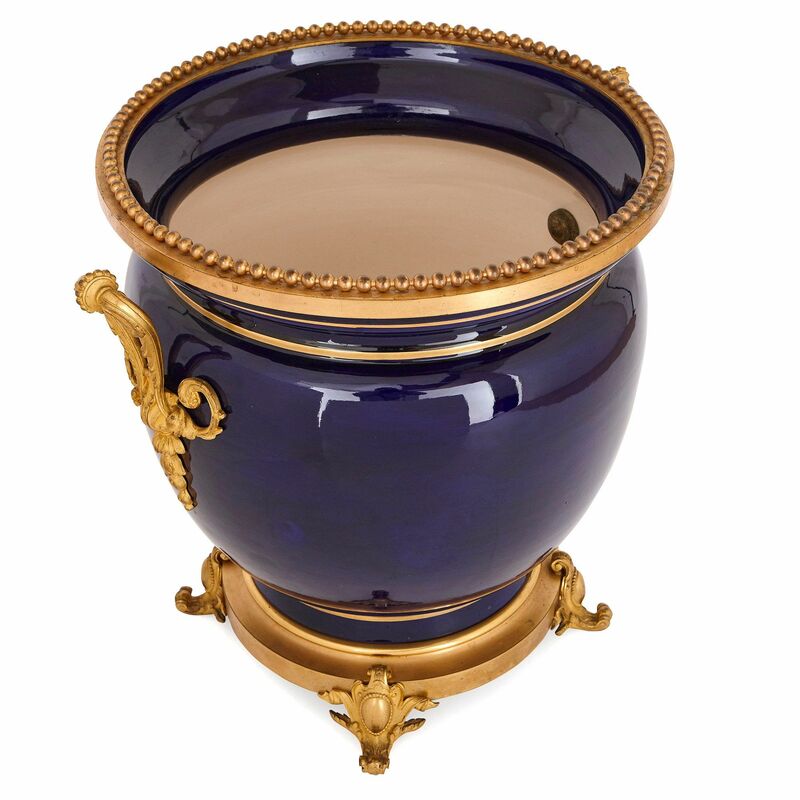 The vase is set upon a raised, circular ormolu base vase with four scrolled leaf acanthus leaf feet.